A traditional snack food originating in Belgium, which is known as the "Belgian french fry." 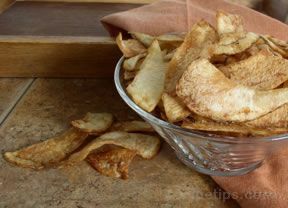 Known in France as the "pomme frite," it is commonly available fresh fried or as a crispy hard snack food available in shops and from street vendors in many western European locations. Both types of fries have a rich buttery taste with a salty flavor. Similar to the popular American food known as a French fry, the main difference between the fry and a Frite is shape and texture. A traditional fresh frite is wider that a typical French fry and the frite is fried twice, giving it a crispier texture. The double frying initially blanches the potato and then the second frying provides the crisp texture. 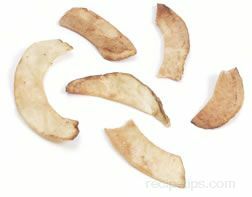 A crispier version of the frite can also be made thin and narrow, similar to a Western snack referred to as shoe string potatoes, or it can be made as a wide but very thin strip of potato, similar to a peeled potato skin. When served, a frite is most often accompanied by a spicy mayonnaise, pesto, wasabi, curry, or blue cheese.